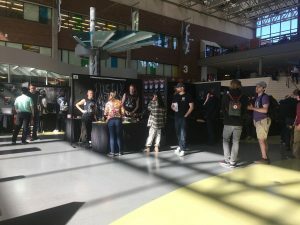 The Music Technology Diploma portfolio showcase was held on March 27 at the Douglas College New Westminster campus. The showcase features students at the end of their two-year diploma. 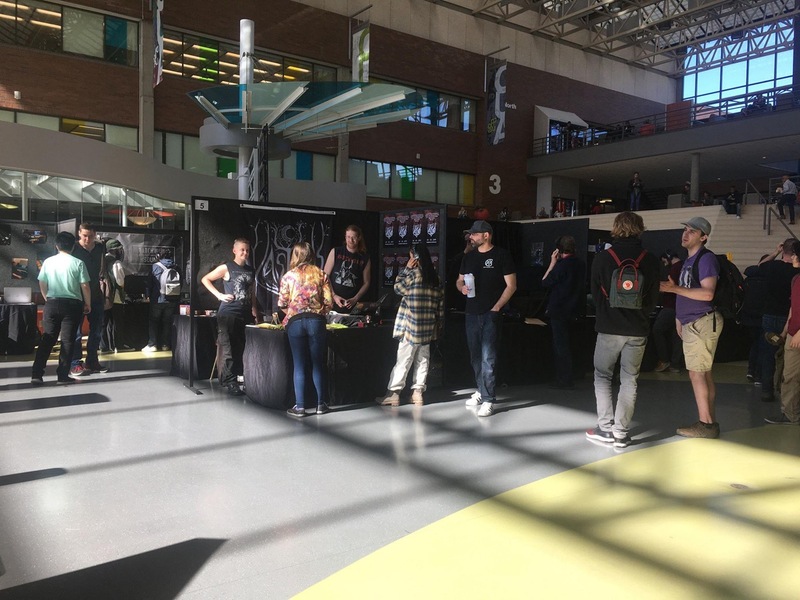 It’s essentially a large networking opportunity for anyone in the music industry, and a chance for Douglas MTD students to meet with larger companies that may offer work. The Other Press had a chance to speak with one of these students, Ron Nazal, on his showcase as well as what the MTD program has to offer. Nazal does everything from composing to producing, while also being a recording engineer. When asked what his set-up at the portfolio showcase was, Nazal said, “What I have here is what we producers use on a regular basis.” His table had some headsets connected to a monitor that had a digital audio workstation (DAW) open on the song he had for presenting. He also had a touch-sensitive 5D keyboard that was available to try out. At the showcase and networking event, Nazal was promoting his duo project with fellow MTD student Lucas Davies, called Lanes. “We’re releasing an album on the first day of June,” Nazal said. “We have a single out right now. It’s called ‘Déjà vu.’” I was able to try on the headset and experience his music right then. “The feel we were going for for this album was a laid-back chill vibes thing where you’re driving down the highway and you take a listen,” Nazal said. The song sounds exactly as he described it. Releasing it in summer is perfect timing because it’s exactly the type of song you’d want to listen to while digging your toes into the sand. His partner Davies beautifully sings the vocals in the piece, but the pair worked together on the lyrics and the rest of the track. “It’s one of those songs that’ll hopefully brighten up your day,” said Nazal. I asked Nazal what he would say to people thinking about joining the Music Technology Diploma, and he answered that it’s a good thing to join if it’s your dream. MTD students showcased a variety of music-related skills. There were students presenting how different genres of film scores can completely change a scene, students who found interest in creating sample packs and sound effects, as well as students who were more interested in videography altogether. They all had amazing presentations and I wish them well in their future careers.